Eupraxia Soaps is proud to offer artisan hand-crafted products to add that wow factor on your special day. Completely customizable, our products are made on an as-ordered basis, just for you. Soaps, body washes, sugar scrubs and more... choose colors to compliment your event decor and fragrance that matches your personality. From beautiful gift baskets for your bridal party, to our delightful guest soap favors - Eupraxia Soaps offers the flexibility for both intimate and large scale events alike. We are also happy to share our selection of hard to find hand-crafted vegan friendly bath products and gentlemen's shave soaps. Embrace the Spirit of well-being. They say, do what you love and you will never work a day in your life. For me, that could not be more true. 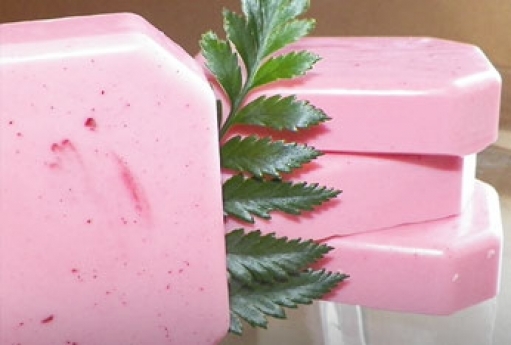 Making soaps started as a hobby and sort of evolved into a business. Friends started offering to pay me for gift sets and things like that and really urged me to make a business out of it, they would soon after turn in to my team of testers whose input I absolutely could not live without. Hands down, most of my business still comes from personal referrals which is a true delight - because that means someone loved what I made so much, that they shared. Our tagline is 'Embrace the Spirit of well-being', whatever that means to you. If it means juicing and a 5 mile run, more power to you. If it means doing something nice for a stranger as part of a 'Pay It Forward' movement, fantastic. For me, it's a nice hot aromatic shower after a long night of riding the ambulance. Well-being isn't only a state of physical fitness, but mental too - so do what makes you feel amazing in a way that you feel ready to take on the world. That was why the company is named Eupraxia after the personification of well-being in Greek mythology. I would probably say something like... 'Listen, things are probably going to get crazy but don't worry we can do this. We can design something great that your guests will love. You guys are going to be fine!' Because really, they have a lot going on and might have tons of input (wanted or unwanted!) from loads of people in the months leading up to their wedding. What they really need is a reminder that everything will be ok and some assurance that someone is truly there to help. They need a teammate, not a headache. 4. What sets you apart from other Gift and Favor Vendors? Our products are each hand-crafted and specifically made to order, and we can customize so much! You want orange soap that smells like bananas with embedded blue stars? We can make it happen. I'm not here to fill out a form and order items - anyone can do that. There is so much intensity these days during the planning process. Really as a vendor the best thing I can do for them is be absolutely certain I understand what they want and deliver it as promised when promised. Especially when it comes to favors and gifts - someone has chosen you personally to basically be a VIP guest at one of the most important times of their life in front of their friends and family so you had better make sure you rise to the occasion. Receive a free travel trio of body washes to take with you on your honeymoon with any favor or gift order of $50 or more.